The death of Horowhenua child Ethan Wyman from a brain tumor is tragic news. A family is grieving, the students of Te Horo School have lost a friend and classmate. Ten year-old Ethan apparently slept with an iPod device beneath his pillow, likely listening to music or playing games on it after hitting the sack like a lot of us do. According to his dad, Damon, Ethan was just like his other siblings. “The only difference was, Ethan had an iPod”. Ethan’s iPod had a Wifi chip in it to communicate with a wireless router to access the internet. Most computing devices do these days. Damon and another Horowhenua father are now spearheading a campaign to have Wifi hotspots removed from Te Horo School requesting that internet instead be delivered via wired, Ethernet cables. The Te Horo School Board of Trustees has written to parents, surveying them on their views about the removal of Wifi from the school and will make a call on it in the new year. Damon can be forgiven for jumping to the conclusion that wifi signals were responsible for the brain tumour that killed his son. The problem is, as scientists often put it, correlation doesn’t imply causation. There is no evidence to suggest Ethan’s tumour was the result of exposure to electromagnetic fields. More importantly, there is no evidence anywhere in the peer-reviewed literature to suggest Wifi signals pose an elevated risk of developing brain cancers. There is no consistent evidence to date that exposure to radio signals from Wi-Fi and WLANs adversely affects the health of the general population. The signals are very low power, typically 0.1 watt (100 milliwatts) in both the computer and the router (access point), and the results so far show exposures are well within the internationally-accepted guidelines from the International Commission on Non-Ionizing Radiation Protection (ICNIRP). Based on current knowledge and experience, radio frequency (RF) exposures from Wi-Fi are likely to be lower than those from mobile phones. Also, the frequencies used in Wi-Fi are broadly the same as those from other RF applications such as FM radio, TV and mobile phones. …the highest localized SAR (specific energy absorption rate) value in the head was calculated as 5.7 mW kg−1. This represents less than 1% of the SAR previously calculated in the head for a typical mobile phone exposure condition. So exposure from Wifi is much less than exposure from mobile phones, which are typically held next to the head. But Ethan effectively kept his iPod next to his head because he slept with it under his pillow. Maybe his exposure was greater than if he was using a laptop connected to a Wifi network? So what does the peer-reviewed literature say about mobile phones and brain cancers? Again, nothing that points conclusively to mobile phone use leading to an increased chance of developing brain cancers. A few years ago, scientists published the results of the International Agency for Research on Cancer’s (IARC’s) Interphone study, a major 10-year international study that focussed on the two most common forms of brain cancer – glioma and meningioma. The study included New Zealand and at the Science Media Centre, we did a press briefing with some of the scientists involved. Interphone is being followed up with another in-depth study that is seeking more conclusive results based on the increased usage of mobile phones since Interphone took place. Given the pervasive nature of mobile and wifi technology in society, this research is incredibly important. 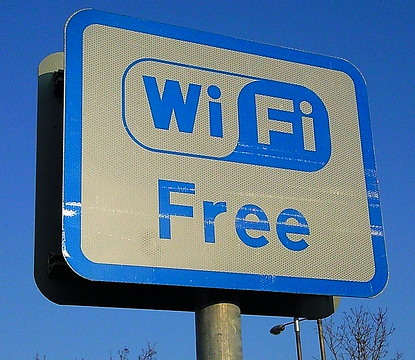 Concern about Wifi has been whipped up of late by a New Zealand-based lobby group also opposed to its use in schools. I can’t decide whether Greg Kasper’s train wreck of an interview on Breakfast TV on the subject two weeks ago is a win for science or not. The chairman of the lobby group Safer Wireless Technology New Zealand Incorporated aka Ban the Tower, failed to coherently articulate the group’s concerns about Wifi technology and had to be rescued by sympathetic TVNZ host Raudon Christie several times. Just as well TVNZ hadn’t asked a scientist to sit on the couch and tackle Kasper’s claims – it would have been a bloodbath. Kasper is a semi-retired accountant who lives in Howick and apparently “has had first-hand experience with unwanted cell towers”. If you are wondering where the scientific expertise in this group lies, its in Dr Stuart Reuben, a retired cardiologist and Toa Greening an ICT engineer. Yep, not an electro magnetic field (EMF) expert in sight. What’s interesting about them however is that they have engaged a public relations company Passion PR to gain media exposure for a campaign they are pushing. They are not attempting to have Wifi routers banned, though the more you dig around the Ban the Tower website the more you realise they are determined to get rid of celltowers, smart meters and Wifi in schools. “Overall, a causal association between mobile phone use and incidence of glioma, meningioma or acoustic neuroma is not supported by the current study [ie the Lagorio pooled analysis]”. It would be unwise to take the Hardell findings in isolation: they should be evaluated in the context of similar research, which is generally interpreted as providing no clear indication of an increased risk of brain tumours for periods of wireless phone use up to about 14 years. On the other hand, because of the possibility of long latency periods (the time between the exposure and the development of a tumour), health bodies recommend continuing research in this area. The Hardell study didn’t even mention Wifi – but it didn’t stop the Ban the Tower group from heading their press release: Govt urged to fund research into health impacts of wifi. Wifi and celllphones and the alleged link to brain cancer is back on the media’s radar – I’ve had conversations with around a dozen journalists on the subject over the last month. That’s largely down to the Ban the Tower group’s PR campaign to spread fear, uncertainty and doubt. The Te Horo school example is a legitimate news story for the media. A school is seriously considering switching of its wireless internet coverage. I don’t need to throw any studies at you to show how important wireless access is to education. Many of the devices kids are using at school can’t even be plugged into a wired internet connection. If you turn off the wireless network, you make it harder for kids to go online to find the learning resources they need. For those with laptops, it means that kids have to sit near a wired connection which a typical classroom will have a limited number of – that means less time accessing the online learning resources they need. Educational applications are increasingly being targetted at the mobile phone and tablet – all of which are dependent on Wifi or mobile reception. Without an evidence base to justify it, turning off the Wifi is therefore a regressive move that could hurt the development of children. Damon Wyman may think he is doing the students of Te Horo School a favour. In fact, he is helping to generate the sort of hysteria that could lead to wifi networks going dark in schools across the country. What an infuriating article from TVNZ. An “expert” on electromagnetic radiation and health, called that because he did a Google search, says something to a journalist. That journalist takes the “expert” at face value and reports it. I thought journalists were supposed to actually investigate claims. Where was the science? Where was the evidence? Where were the interviews with the radiation physicist, the oncologist, the radiation biologist? Actually, where was the journalism? 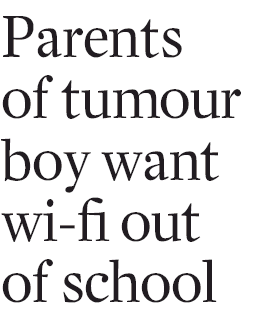 Years ago my son asked whether Wifi or cellphones caused his own brain cancer. He went to libraries, asked the real experts – those who have worked in the field for decades – and read the research. All the evidence pointed to a single conclusion. He currently carries two cellphones, all his electronics are connected by Wifi, and he has a hobby of setting up Wifi networks for his friends. Enough said? Wow, I’m filled with admiration for your son Stuart. He has the right attitude. Great article Peter. That graphic in particular looks like a good resource when explaining about ionising vs. non-ionising radiation. I think a lot of people don’t realise how similar radio and microwaves are to more familiar phenomena like infrared and visible light. It’s a shame networks like TVNZ don’t have more of a focus on reporting good science instead of unsubstantiated fear mongering like this. If that were the case then their audience might not be so vulnerable to this sort of pseudoscience. All RF EMF was categorised as a class 2B carcinogen in 2011 by the IARC. 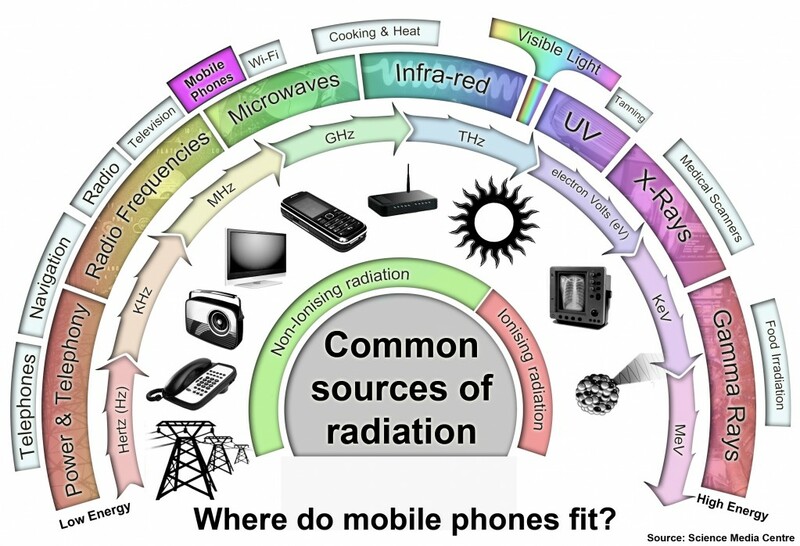 A team of World renown scientists in the field of Bioelectromagnetics reviewed the larger studies and found sufficient scientific evidence for RF EMF to “possibly” cause cancer and categorised it as a class 2B carcinogen. The International Agency for Research on Cancer (IARC) is a part of the World Health Organisation (WHO). We are not trying to get rid of all Wireless devices. Just to get another perspective on industry funded studies. Studies funded exclusively by industry reported the largest number of outcomes, but were least likely to report a statistically significant result. Read the history regarding the acceptance of lead in gasoline. There was abundant evidence at the time that it was dangerous, but it was approved anyway using specious arguments like these. Today we have even more evidence of the dangers of electromagnetic energy, and people like you are once again trying to doom the population in support of big business over safety. Even you own quotes refute your assertions. You quote “the main finding of this study is that the power densities around Wi-Fi devices are well within the ICNIRP reference level at distances of 0.5 m and more”. That is over 19 inches. Surely you don’t think that child had his pillow floating 19 inches above the device! Signal strength varies as a square of the distance. So going from a 19 inches to a few inches is a RADICALLY stronger field. “consistent” translation = if 70% of good studies show a problem and 30% junk industry funded studies don’t show a problem then it is not consistent. “general” translation = we are choosing to ignore effects on children in utero, young children, high-use people etc, so that we can word this to support a multi-billion dollar industry.